Thanks to everyone who entered the Dear Teen Me and Diviners giveaways on my blog over the past couple of weeks! The winners have been contacted. Congrats, Ashley R. and Tina Crossgrove! What else? Obviously, I've slowed down in my blogging lately. I've been busy! Still reviewing books and apps for School Library Journal and blogging for The Hub. And in September, I was one of 32 California librarians to participate in the Eureka! Leadership Institute. After an intense week of learning, discovering, and making connections with amazing people in the library field, I am now embarking on the implementation of a year-long, grant-funded project that will benefit my library's community. I am so honored to be a part of the Eureka! Leadership Program and I know I'm going to learn so much through the experience. 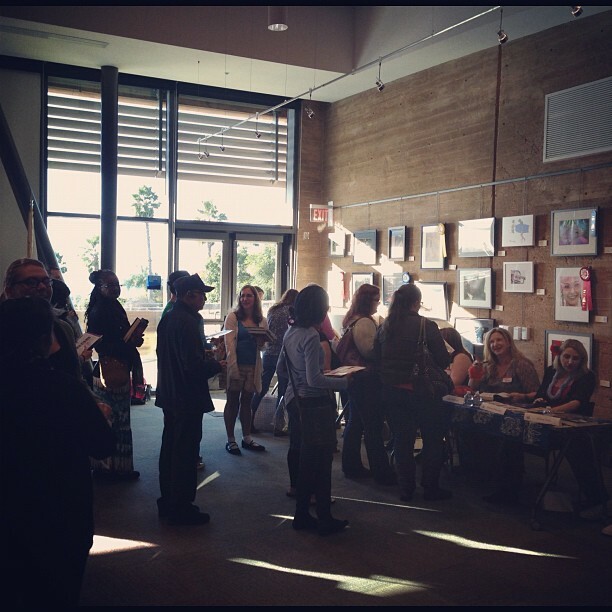 In other news, I just went to an awesome author event at the beautiful Encinitas Library in San Diego county: YA in the Sun. Twenty amazing authors were there to mingle with readers and sign books, and everyone had such a great time. 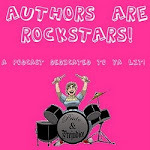 We'll have coverage of this event up soon at Authors are ROCKSTARS! Thanks for the shoutout! Hope you enjoy the DVD and glad to hear you're back to dancing! Congrats to the winner of the Diviners/BPAL giveaway. That is an awesomely generous thing for you to have done Allison. And good luck on your project with your library. I wish I had known such a passionate youth leader in my library such as yourself when I was growing up.